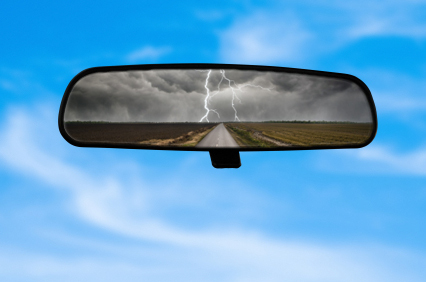 You can’t drive forward by looking in the rear-view mirror. Yes, maybe you’re escaping a terrible storm that wreaked havoc with your life, and you’re still breathing hard. Maybe you’re still drenched from the downpour. But stay focused on the good that is with you, the good that lies ahead, the good that you’re driving towards. And Michele, as I was thinking about what to write for this post, as soon as I came up with this, I looked out the window, and you got it — there was a beautiful green, ruby-throated hummingbird flying around the gorgeous indigo irises. 😀 So, kaching, here we are. which is the fleur-de-lis, emblem of France, and Florence, Italy: faith, hope, wisdom, cherished friendship, promise in love, loyalty, divine protection. A combination of 3, and of 5. A symbol of Mother Mary, to whom many, including myself, pray for help, comfort, support, and miracles. 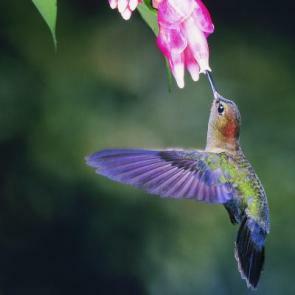 (I’m looking out another window, and the humming bird buzzed by again, not common for here in Maine at our house). 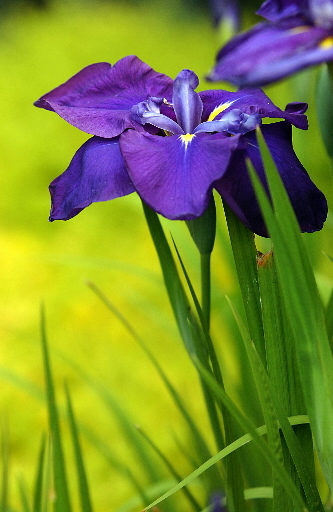 The Greek word Iris means rainbow. Iris is a goddess who brings messages from heaven/the goddesses and gods to earth, via the rainbow. Iris also escorted women’s souls to the Elysian fields at the time of their mortal transition. the unblocking of old patterns of self-limitation and stagnation, inspiration to heights of beauty and grace, and restoring a path to art and creativity, re-hydrating one’s soul force (just the way a rainbow needs both rain and sun in order to come into existence).